The Venona project was a counter-intelligence program initiated by the United States Army Signal Intelligence Service (a forerunner of the National Security Agency) that lasted from 1943 to 1980. The program attempted to decrypt messages sent by Soviet Union intelligence agencies, including its foreign intelligence service and military intelligence services. During the program's four decades, approximately 3,000 messages were at least partially decrypted and translated. 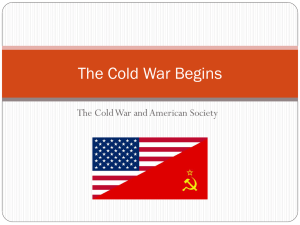 The project produced some of the most important breakthroughs for western counter-intelligence in this period, including the discovery of the Cambridge spy ring and the exposure of Soviet espionage targeting the Manhattan Project. The project was one of the most sensitive secrets of United States intelligence. It remained secret for over a decade after it ended and was not officially declassified until 1995.